I was with 2-1 AVN in Katterbach directly after DS. Served with 1-1 CAV during DS. iwas in d co shops where did u work? I was right across the street from you guys.I was in the Cav at Bismarck Kaserne,I drank a lot of beer at the NCO club on Katterbach..
achevyfan wrote: iwas in d co shops where did u work? I was in A Co Scout Platoon. 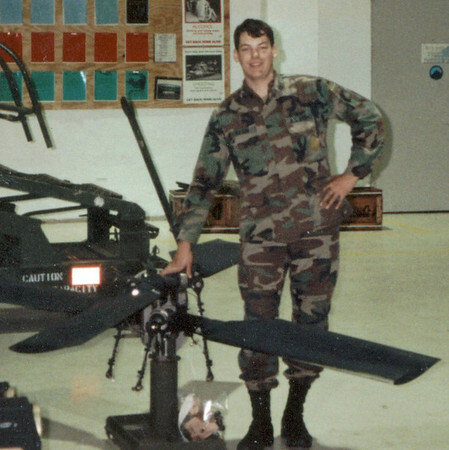 Timberghozt wrote: I was right across the street from you guys.I was in the Cav at Bismarck Kaserne,I drank a lot of beer at the NCO club on Katterbach..
D Trp 1-1 CAV here......."Blackhawk!" I was Dco 2/1 AVN. Last name is Mason. Who are you? I know Quib, Johnson, Maurer, Flannagan, Rayburn, Stanek, and more. 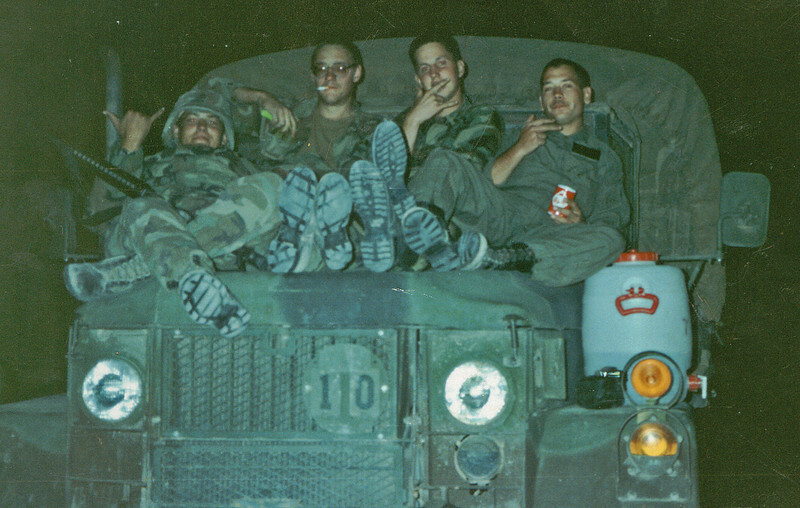 From the left: Me, Norman, Hornberger, and Kearns in Iraq. Nice pics, Welcome to the boards brother. Glad you found us. Hey Mark, Great pic of us man!!!!!!!!! I had forgot about that. achevyfan wrote: Hey Mark, Great pic of us man!!!!!!!!! Holy Hell! How the heck are ya Stormin' Norman!? Your Gulf War Unit: C Co 2-1 Avn Regt 1st Armored Div. My name is Cpl Duane Smith. I got out as a SSG.